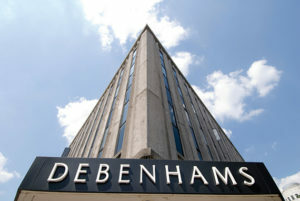 In the latest sign of retailers battening down the hatches Debenhams is considering renting space in its flagship London department store to a hot desking firm. The retailer is in talks to rent floor space to flexible-office provider WeWork, as it looks to scale back its high street presence. Last year Debenhams chief executive Sergio Bucher announced a shake-up of the 240-store chain that would close 10 shops, downsize others and strike partnerships with outside firms. It has already teamed up with Sweat! to open three gyms in surplus space.